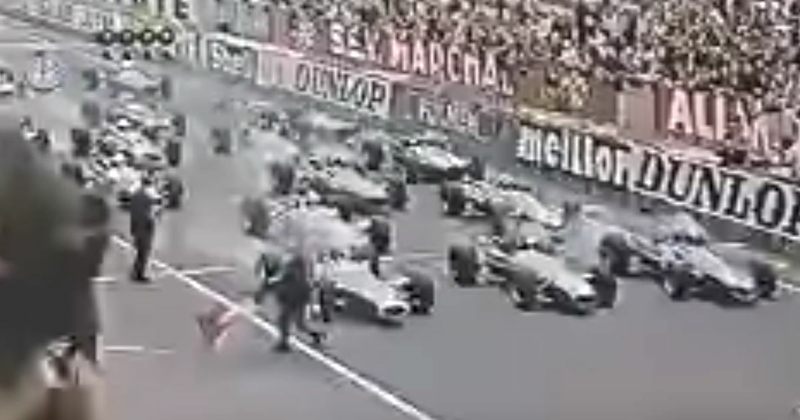 The French GP flitted between some mega circuits in the 1960s - the speed of Reims, the flowing Rouen circuits, and the twists and turns of the demanding Clermont-Ferrand. But in 1967, the Automobile Club de France decided to host the race at Le Mans. Unfortunately, it wasn’t at the legendary Circuit de la Sarthe as used for the 24 Hours, but at the then-new Bugatti circuit, which had recently been built on the car park behind the pits. Aside from the pit straight and the first corner, the Bugatti Circuit had nothing in common with the full course and drivers disliked the short, twisty layout. In a rather uneventful race, both Graham Hill and Jim Clark retired from the lead early on, leaving Jack Brabham to take a comfortable victory over teammate (and eventual 1967 champion) Denny Hulme. Fans also weren’t too excited by the prospect of a race on a boring, purpose-built circuit and not many people turned up to watch, leading to a very flat atmosphere. The following year the French GP went back to Rouen and Le Mans was never seen on an F1 calendar again.